In the unlikely location 100ft above street level, on top of a department store building in the busy Kensington shopping area, you'll find a tranquil garden planted in the 1930s. 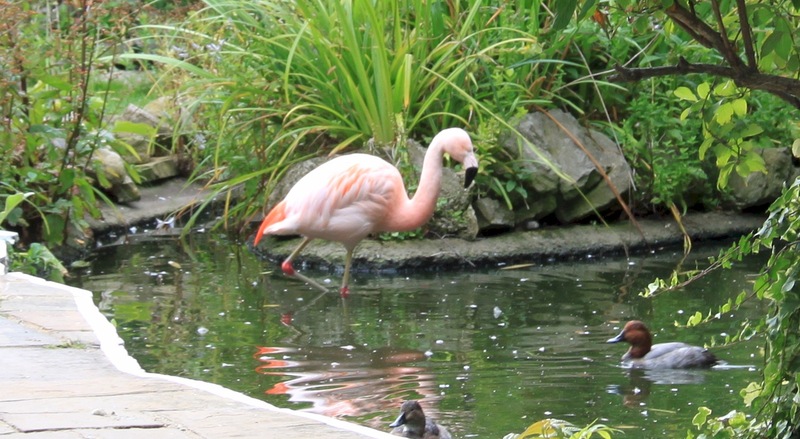 It includes a Spanish garden, a Tudor garden, an English woodland garden and resident flamingos! The Roof Gardens cover 1.5 acres on top of the former Derry and Toms building on Kensington High Street making them the largest roof garden in Europe. In the 1930s Trevor Bowen (the vice-president of Barkers, the Kensington department store that owned the site and constructed the building in 1932) commissioned Ralph Hancock, a leading landscape gardener, to create the gardens. The gardens were laid out between 1936 and 1938 at a cost of £25,000. 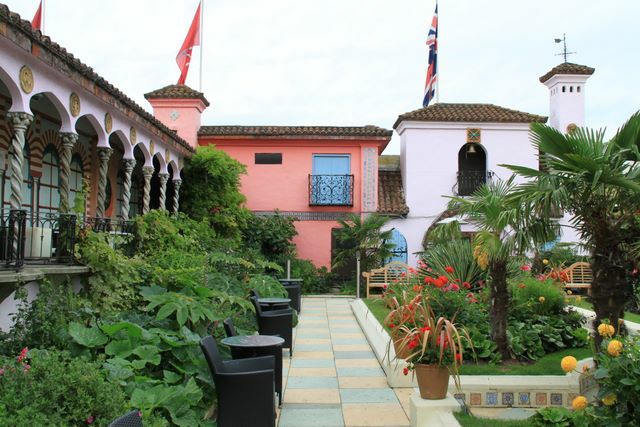 Combine your visit to Kensington Roof Gardens with a meal at the Babylon restaurant which serves contemporary British cuisine and overlooks the gardens. There are three themed gardens, with over 70 full size trees, a flowing stream stocked with fish and resident flamingos: Bill, Ben, Splosh and Pecks. This is the most formal and is based on the Alhampra, the Moorish fortress complex in Spain. There are fountains and vine-covered walkways, all centered around a curved sun pavilion designed by Bernard George. A smaller formal walled garden with archways and secret corners. It's very much a scented garden with an abundance of lavender, roses and lilies, plus panoramic views over west London through windows in the walled edge. This meandering garden overlooks the High Street to the south. There are a huge variety of trees, many with Tree Preservation Orders to protect the garden. There's also a stream and a garden pond that is the home to pintail ducks and flamingos.